Indie Games for the PC…Direct from the developers! We don’t do reviews or previews or post-mortems. We just tell you what we can see and what we think of it. This is A View. My ship has been sitting in the Great Khan’s docks for two months because of a fatal mistake. Not on the part of the Khanate’s people – I’m an emissary of the enemy so I’m understandably watched and shunned. Not on the part of the scheming dead of Fallen London. Not because of wistful devils or aggressive mountains or giant crabs or ambitious pirates or any of the other threats of the Unterzee. But because I didn’t listen to the Blind Bruiser properly and accidentally spent the thousand echoes that he gave me. Yes, genuinely; I wasn’t paying attention and spent a gangland boss’s bribe to a foreign diplomat. Yes, I’m dumber than a glossectomic Trappist. So when I turned up to collect the package from the diplomat and found he wanted money for it, I had a quiet head-in-hands moment. Now I’m stuck on the continent of Polythreme trying to work out how to drum up the 1000 echoes for the bribe and drawing a blank. I dread what the Bruiser will do to me and my crew when I get back to Fallen London. So I’ve decided to never go back. And so I haven’t loaded up the game since. 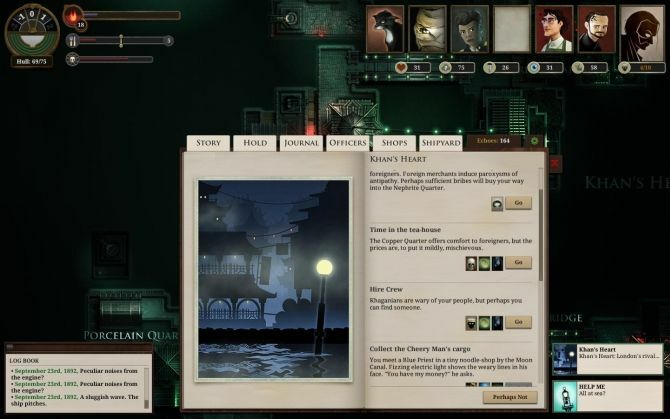 Sunless Sea is Failbetter’s games attempt at pushing their Echo Bazaar universe beyond its eponymous text adventure, Fallen London. It’s a Gothic nautical exploration game, where you captain a steamship and its superstitious crew, sailing the endlessly-shifting Unterzee, exploring its mysteries, fending off its monsters and attempting to get enough money and/or yarns to retire, and pass your helm onto a scion. The conceit is that London was stolen thirty years ago, and now rests near to, but not quite in, hell. 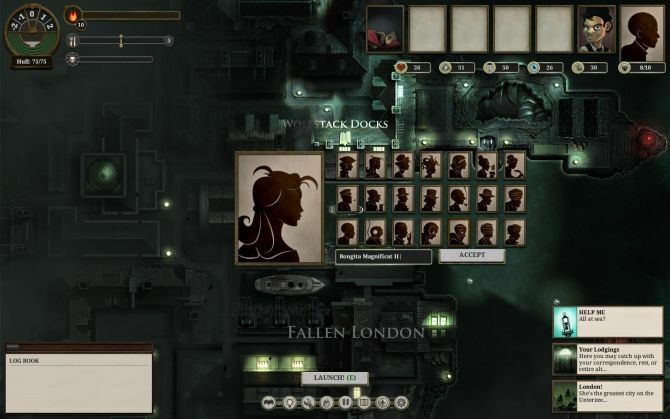 The game is mainly a choose-your-own-adventure in a Steampunk GTA1 disguise, like its predecessor Fallen London, with a limited trading / combat game tacked on. Much of the challenge of the game comes from the limited resources available to you, which you grind out achingly slowly from repeating fetch quests, before being allowed regular relaxation with a joyous new storylet for your efforts. As you go along, you acquire resources and darkly funny stories and crew members. and then, inevitably, die, your crew drowned and your ship lost. 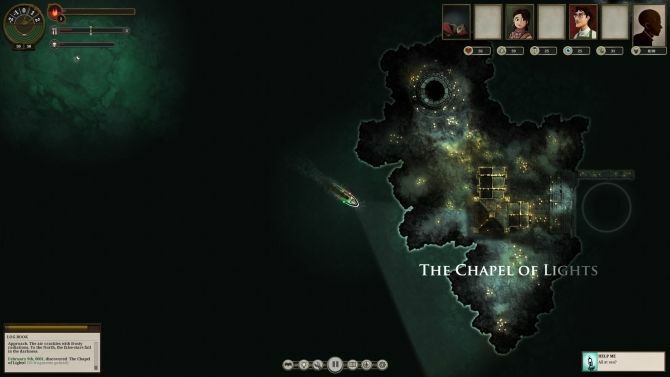 Sunless Sea is one of the many games that’s been released on Early Access, meaning its form shifts like the tide. At the moment, much of the content isn’t in there. 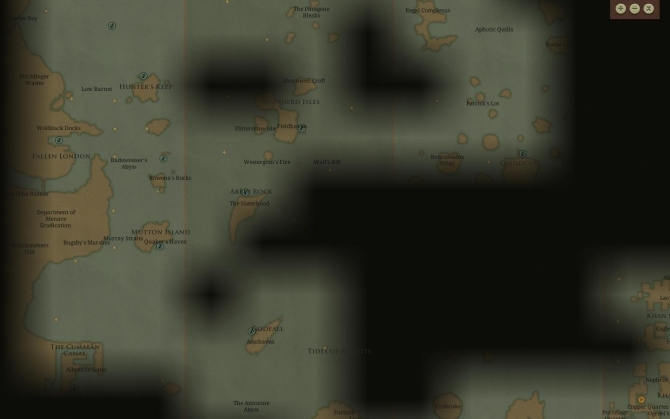 You’ll encounter areas of the zee where messages pop up telling you that they aren’t done yet, and stories that literally say “not available yet”. Though it mostly feels finished, there are regular reminders that it isn’t. For example, the developer Failbetter has recognised that the combat, as it stands, doesn’t work. At the moment, when a hostile ship or denizen of the deep sets upon your ship, you engage in an unseemly Benny Hill style chase sequence on the ocean’s surface until you collide, followed by a short dialogue choice (for last minute escapes), before flipping to a time-based combat system. Here, you have to illuminate your enemy before attacking it – or alternately attempt to free – using a series of actions available depending on your captain’s skills and your ship’s equipment. It’s neatly structured, but it’s easy and rational to learn any enemy’s attack patterns, so they’re rarely a puzzle after the first time you encounter them – you just know whether you’re dead or not, then have to go through the steps of the dance. And given how long each dance takes, it’s boring enough that you wish you could sit out. Recognising this, the forthcoming Steel update is intended to bring the combat into the main game world, giving you a chance to maneuver and fight the monsters of the deep in semi-realtime. It should make the game more organic and tighter, though I have concerns it might also make the game easier, allowing for kiting and the usual 2D action game tricks. This combat chaff is all bearable, because it’s a vector for the story, like tedious toast is a vector for lovely liquid butter. No-one does stories better than Failbetter, though they have a tendency to the gruesome, florid and morbid. Whether it’s dungeon-diving beneath the monastic corpse-island of Godsfall or dining with the delightful if disturbing sisters of Hunter’s Keep or drinking in the sight of the surface or travelling to the far, far East the world is sketched in a way to match its hand-drawn art and maudlin music. After all, like Fallen London, all the mechanics and stats are there to prevent you getting through the reams of text too fast, to make you work for every last word. The stories, though mostly minimal, never break you out of the Fallen London universe, where the damned dead consort with devils and everyone has a sickeningly funny tale to tell. And every island has a story too – though you may have to travel halfway across the darkened map, at great effort, over and over, to hear it. As do most individuals you encounter. For example, improving your chances in the world requires recruiting a bunch of ghastly officers. 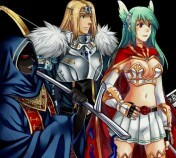 They give you bonuses to your various skills, which improve your chances in the storylets and also in combat. As the game progresses, you can explore their nasty little secrets, like a voyeuristic Commander Shepard. That is, like Commander Shepard. Thankfully, the stories rarely kill you (unless you go into the Shattered Citadel, say, without enough Foxfire Candles, which is practically suicide). Death mostly comes from losing control of mounting mechanical problems; running out of fuel, supplies, or crew, or just having your hull torn asunder (there are some really giant crabs out there). Unthankfully, this failure is all too regular, often forced by random events, meaning you have to trudge through the stories again, picking different options just for the damn variety of it, because a random event you had no chance of avoiding screwed you royally. That’s a problem because, by default, the game is a roguelike – that is, your characters suffer permadeath and the only saves are auto-saves. (There is a Merciful mode, where you can load and save, but as I said, it’s off by default). At the moment, given the lack of randomisation in the world’s layout, there’s no point having the roguelike mechanics, as the world you explore is always the same. Unlike FTL, though you learn from playing repeatedly, ostensibly there aren’t elements to unlock for future lives, unless you do *really* well and save up for a will – which I’ve never got close to managing. Saying ‘ostensibly’ is my way of saying that I don’t know for sure if that’s the case. Which is another way of saying that the game obscures a lot of its mechanics. So though you have a journal, some of your current objectives are signified by items in your hold – Jars of Souls or Secrets or Ambiguous Eoliths – and you have no idea of the value of these, or who might want them. Whilst discovering new areas is fun, there’s a little of the lollygagging of old-fashioned adventure games, where you have to repeatedly revisit old areas, just to see if any of the crap you’ve picked up works on any of the bits you saw, because the structure is quite so linear. Anyway, having lost several well-equipped characters to grisly deaths and their sumptuous inheritances to repeatable bugs (including my well-equipped captain mentioned earlier who, upon setting out from the Khan’s Palace to dance to the Blind Bruiser’s music in Fallen London, was set upon by the Khanate navy and blown out of the water), I’ve decided to stop playing the game until it comes out properly. I’ll almost certainly play it on Merciful mode too – because I want to experience the story as a whole, because I don’t have the time or inclination to trudge through the starting area over and over, and because, I want the complete experience. 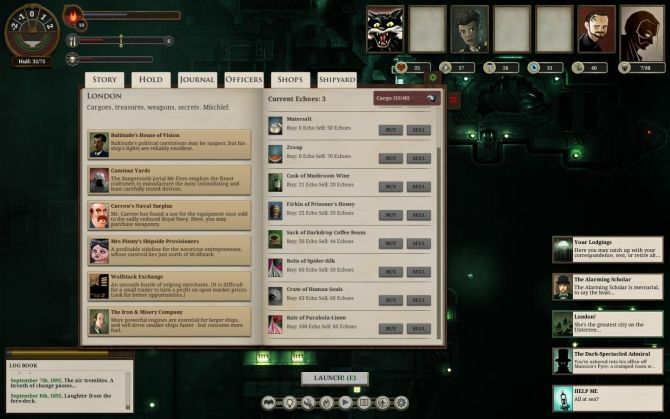 Should you buy Sunless Sea in its current state? It’s an in-depth experience in an unusually well-constructed world, replete with unheimlich horrors and a Victorian steampunk ethos, and some deliciously-constructed stories. Yes, it’s unnecessarily grindy, to slow your passage through the material, but the sensation of work does mean you gain value from the story segments you uncover, even if the repetition and make-work may eventually stop you playing. And much is likely to improve as Failbetter run it through this alpha stage, drawing on player feedback. 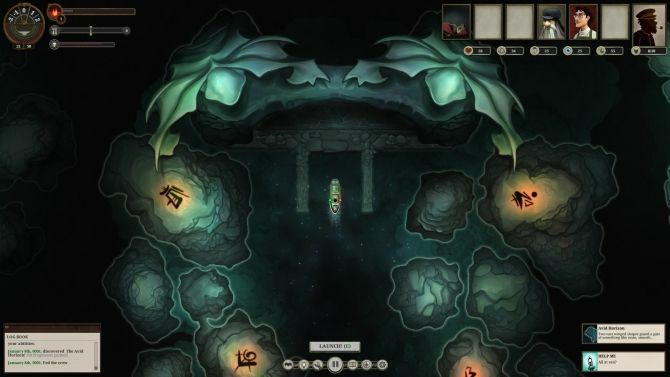 Given that, we’d recommend paying around $25 / £20 for Sunless Sea when it’s finished. As it’s currently less than that price on Steam for the Early Access version, this is as good a time as any to pick it up – though remember, as it’s being sold through Steam, the price will probably drop 10% for launch.